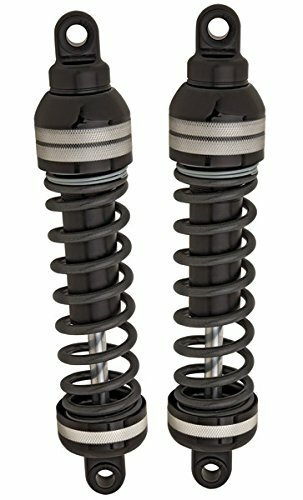 Best Rear Shocks for Harley Davidson Touring Reviews: Top-5 in April 2019! 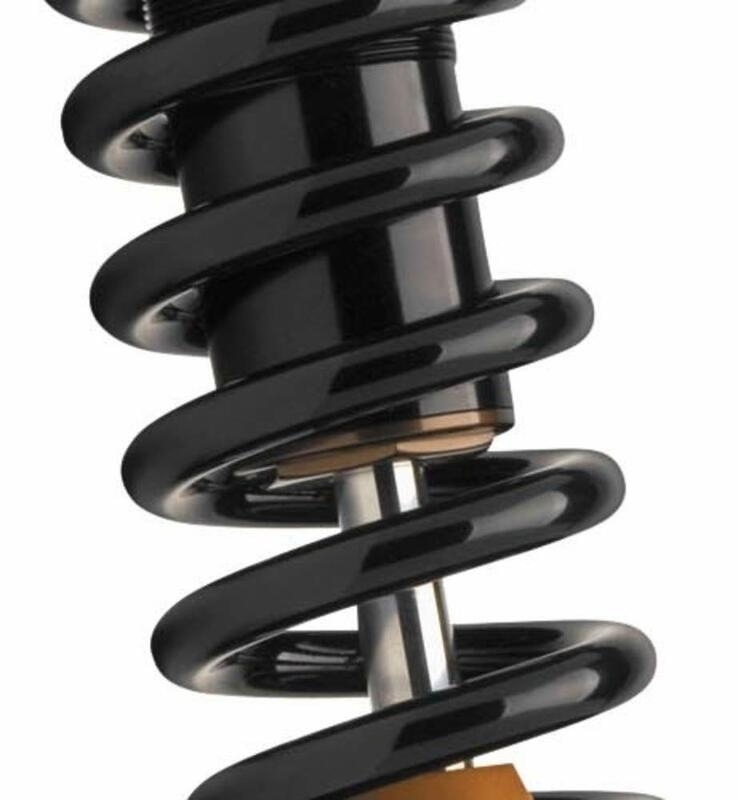 Motorcycle shocks are actually shocked absorbers and suspension systems in one. That is why you need to buy a kit that will support your riding weight requirements and live out a long life. As such, you will find that motorcycle suspension system deliver a dual service, they contribute to the handling and braking of the ride and provide comfort and safety during the ride. Shock absorbers are not just suspension units; they are engineered to provide load bearing support while making sure the wells stay on the ground at all times. The role of the shock is to maintain the wheels grip on the road and to do so while absorbing the bumps and holes that most roads and off-road conditions. Now consider how accurate they have to be, and what standard of materials need to be used to create the best shocks. The 444-4020B by Progressive Suspension® use the patented Frequency Sensing Technology (FST) that adjusts the damping dynamically. This model comes with a 13” extended length and a 1.88/2.68 kg/mm rate, it is made for 1993-2013 ElectraGlide models and comes with a top mount threaded preload adjuster. This preload adjuster lets you fine-tune the shock with a simple twist of the cap. As with all Progressive Suspension models, this one integrates their Frequency Sensing Technology (FST) that provides a frequency sensing damping method to deliver a smooth ride. The valving system uses deflective discs, and the springs provide a progressive load bearing rate of performance. This is the best there is for the ElectraGlide models, and if you want that smooth ride, then consider this model as your best fit with the best performance. The 465-1001 by Progressive Suspension® is a classic Softail shock for 2011-2015 models. This model is a monotube design that comes with a large 46mm bore and deflective disc damping. It includes a threaded body with a 5-position rebound adjuster. The shafts are 16mm, and they come with Viton seals for reduced friction. The extended length of this model is 12.02,” and it comes with a 16,07 kg/mm rate. As with most Progressive shocks, this one comes with anodized aluminum shock mounting eye’s with spherical bearings, and a Hard Anodized, 46mm bore aluminum body. An excellent choice for many specific applications and provides a smooth yet rugged ride experience. The 412-4045B by Progressive Suspension® is a nitrogen charged steel double wall shock that delivers multi-staged velocity sensitive valving. This method provides extremely smooth damping, and you also get their five-position cam style preload adjuster. This model has an extended length of 11” with a 5.36/6.25 kg/mm rate. The 412-4045B model comes in either a Chrome or Black finish. This is the only model you want for an 11″ shock that provides multi-position tuning to all 1991-2016 FXD, FLD, and FX35 applications. 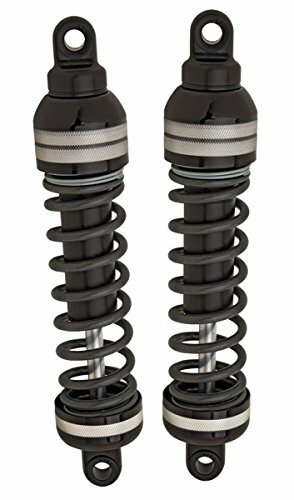 The 944-4002UT ultra touring shocks by Progressive Suspension®. Are 13” extended shocks that come with a 1.61/2.32 kg/mm rate and are slung ultra-low. Essentially this is the lowest of the 944 range, and with this, you can pick daisies while driving through the fields. You might also pick up some bugs to since you will be at grass level height. This model uses the Frequency Sensing Technology (FST) that provides you with frequency-sensing adjustments to dampen the ride to a totally smooth experience. This is a routing model, designed to be lower than all other rear shocks and is adjustable for fine-tuning. Do you like touring at street level, literally at street level, these are that low. This is the model for the road hugger, and with all its depth, it’s as smooth a ride as you can ever hope for. The 430-4072B shocks by Progressive Suspension® are designed for ElectraGlide applications and come with some exceptional design features. This is a one of a kind design; they come with threaded pre-load adjusters, these provide you with a tool-less adjustment, so you can hand tune your shock for ultimate performance. They also have specially machined aluminum spring perches with street rod styling to provide a unique and beautiful finish. This model has an extended length of 12” with 2.05/2.77 kg/mm rate and uses the high-pressure gas monotube design with deflective disk damping. Ultimately, this is the looker and bringer of perfection to your ride. This is the shock that will shock everyone, its design is beyond reproach, and its performance outdoes all. This is the ultimate and best shock for your ElectraGlide applications. The aftermarket shock absorber companies are limited in numbers, and in all instances, the shocks produced are very specific to their application range. In this article, I present to you the best shock for Harley Davidson from one major aftermarket producer: Progressive Suspension. This company was founded in 1982 and has evolved into one of the largest aftermarket motorcycle suspension producers in the world, and the largest in the United States of America. The shocks from progressive are designed to fit every Harley Davidson model that was ever produced from the late 70’s and upwards. They also have a great line of low rider shocks. I guess you noticed that this article was all about Progressive Suspension®. This company was founded back in 1982 and has grown into the aftermarket giant that most cycle enthusiasts go to for their best upgrades. The products listed above are all high grade, high-performance models, and are the best on the market. The prices reflect their quality and performance, and if the price is too steep, consider this, you pay for what you get, and in this instance, you get perfection. Every model is designed specifically for a focused range of applications. It doesn’t get more bespoke than this list.